Irene Nakalembe will hold Uganda’s hopes. Courtesy. GOLF–The eventual outcome was apparent for the last three years yet the Tusker Malt Lager Uganda Ladies Golf Open remains a spectacle capable of saving the women’s game in Uganda. One name has lingered in the ladies game for a while, but it won’t be the case when the 67th edition of the Ladies Golf Open tees off Thursday at Kitante golf course. Flavia Namakula (2010, 2011, 2014, 2015 and 2016 champion) has decided to pursue the game on the professional level. The UPDF Sergeant has been the better player locally and she has won virtually everything there is on the domestic calendar since her grand break-through in 2008. Now the question is – who fills the void? The ladies circuit has faced a criticism for not grooming enough youngsters to keep the game float. And with an experienced foreign cast expected from Kenya, Tanzania, Rwanda and Burundi; Irene Nakalembe and Eva Magala(both H/C 05), will be the face to lead to the home charge. 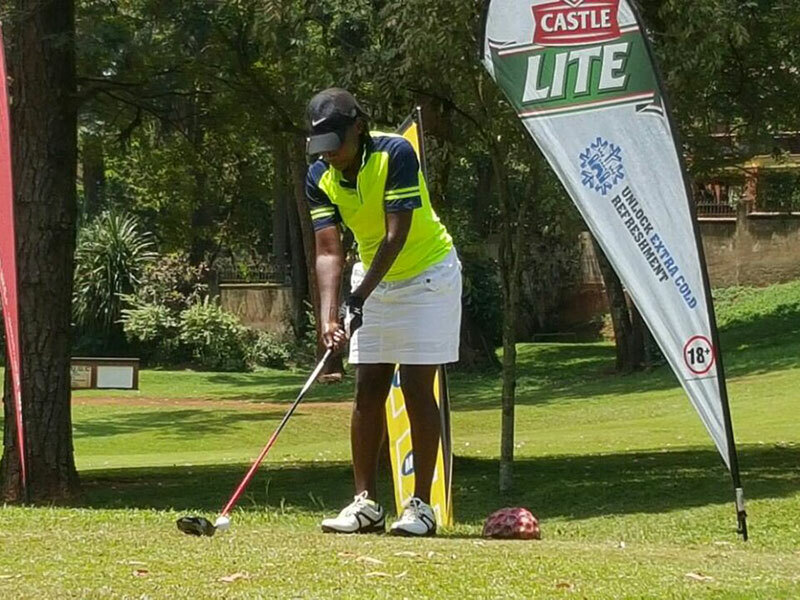 Nakalembe, all eyes will be on the Entebbe Club lady golfer finished six strokes behind Namakula despite the former leading after day-one at Kitante golf course. But it’s her consistence that’s being questioned over stroke (54 Holes) format play, the hard and long hitter has always found it tough to march her day one score, last returned a 76 but a card of 80 on the last two days saw her finish tied for second with Tanzania’s Iddi Madina. In 2015, Magalaraced into day-one lead and a joint leader on the third day before tumbling on the final day, now Kampala club golfer has a chance to make some noise while the mouse is away. A strong field of foreign will for the now vacant title which has been shared by Namakula andTanzania’s golf icon Angel Eaton for last six years. Eaton(H/C 05), will be highly favoured to retrain a crown she last won two years (2012 and 2013) in row before Namakula laid down her metal to dominate the three years. Eaton, will travel will counterparts in Hussein Madina, Hawa Wanyeche, Ayne Magombe and Vicky Elias all H/C 04. Meanwhile, Kenyans Agnes Nyaiko (H/C 04), who finished 13 strokes behind Namakula in fourth place last year, will also feature alongside experienced Zimbabwean Loice Chingono(H/C 07). Eighteen year old and Muthaiga’s Gachaga is one to watch having won the Kenya Ladies Open last year in May. Uganda Ladies Golf Union president Maxi Byenkya says a field of 60 players both in the main and subsidiary events of the ladies annual event is expected. Tusker Malt Lager has injected over Sh500 million into this year’s tournament as assurance to show its support for the development of the game golf in Uganda. There has been an increase in the cash sponsorship from Sh230 million to Sh250 million.